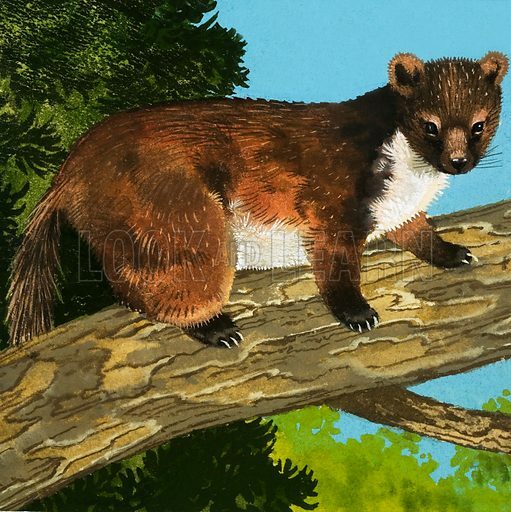 Pine Marten. Original cover artwork from Look and Learn no. 171 (24 April 1965). Available worldwide for immediate download up to 3,997 x 4,003 pixels.